pictures from my phone - not the best quality. Needing to make a quick meal (hockey game night) that was tasty, filling and could cook all day I was off in search of a recipe to fit that bill. I found this one and it did receive two thumbs up to give it a whirl (always a plus). Fast and easy to assemble and best of all it needed no extra attention while cooking. 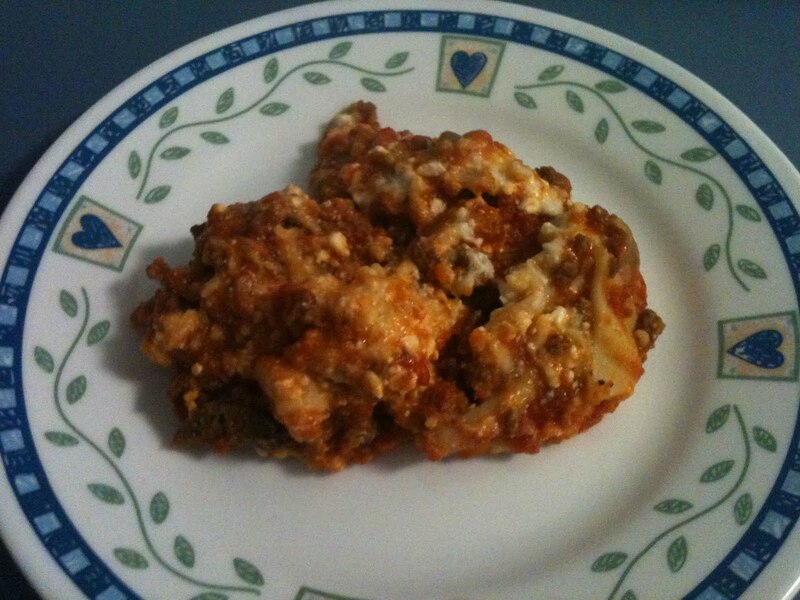 The recipe called for no-cook lasagna noodles but I just used regular lasagna noodles without a problem. The guys just went to town on it and told that I could make it anytime I wanted too. Spread a fourth of the meat sauce in an ungreased 5qt slow cooker. Arrange a third of the noodles over sauce (break the noodles if necessary). Combine the cheese; spoon a third of the mixture over noodles. 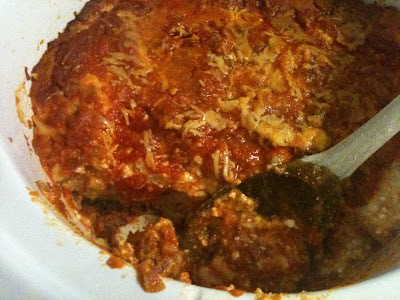 Tasty and you will never know that cottage cheese was used in this lasagna. I did not use the tomato paste, added only 1/2 the water in the recipe and it turned out nicely.